Sit-harness for activities such as treetop courses and forest adventure courses. Totally and easily adjustable. Upper sheathed tie-in point. 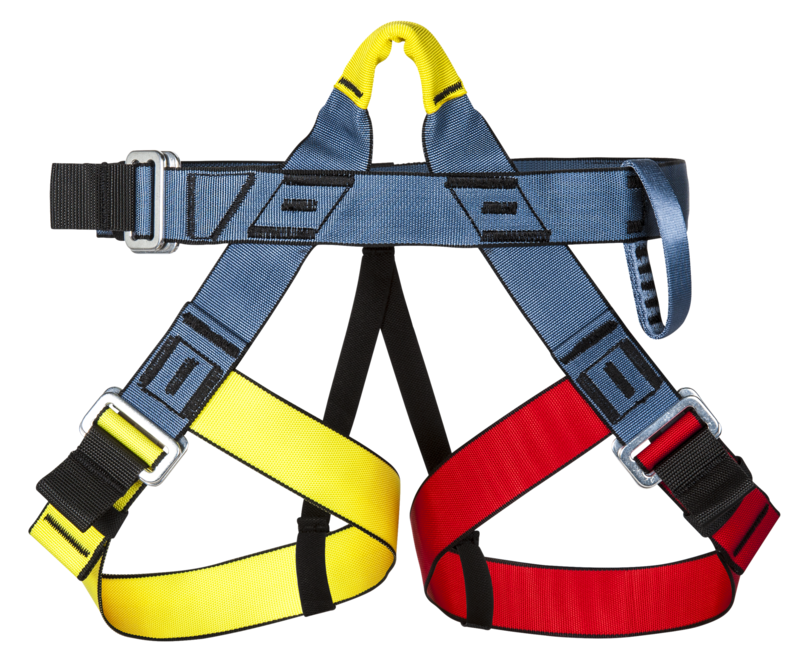 Waist band and thigh loop adjustment by light alloy quick release buckles. A very strong sheathed gear loop (climbing ring 16mm). A very high abrasion resistant strap, with a special weaving. 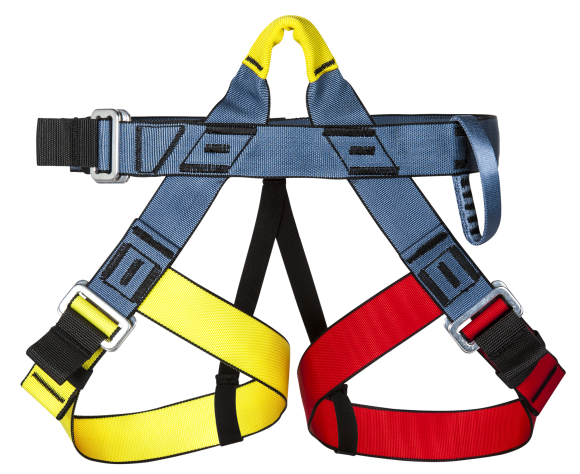 Ideal for intensive collective use (size colour code, quick adjustment and webbing quality). Can be used for canyoning, if you add the AVCA45 Thighprotect, you get an AVCA03 Peïra. If you add the AVCA46 Spankprotect, you get an AVCA03C Peïra Comfort).